Owned and managed by the More family for four generations, this world class luxury safari experience will call you back to visit time and again. The family is passionate about not only delivering a world class experience for their guests, but ensuring that this pristine bushveld will be there for generations to come. 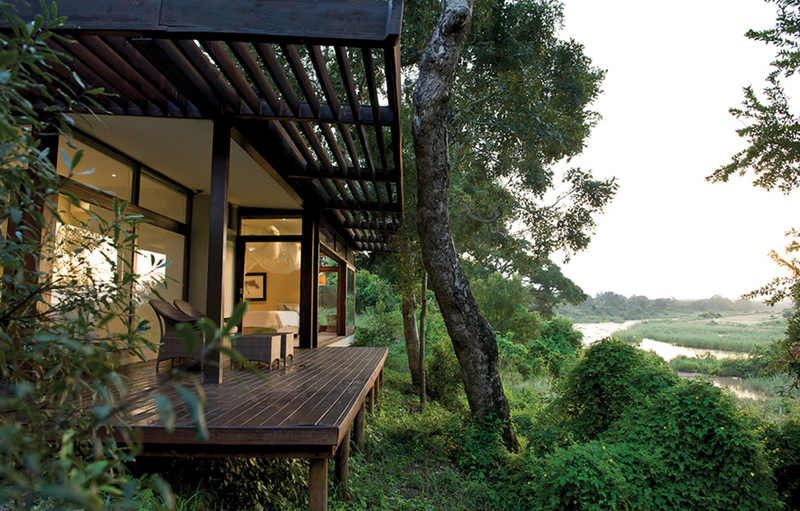 Lion Sands Reserve is the perfect repose which will lift your spirits, and leave you with many magical memories. 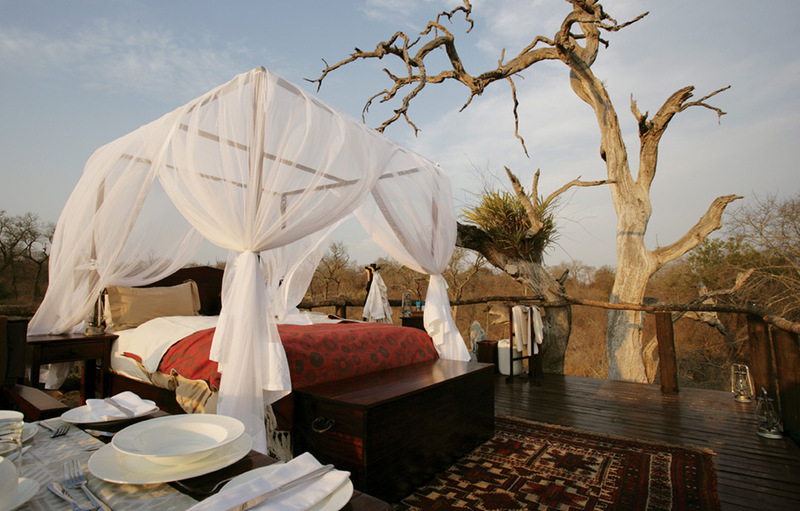 For the most unique and romantic bushveld experience imaginable, you simply must spend a night in Chalkley’s Tree-house. Built at the original site where Guy Aubrey Chalkley climbed into the trees to escape from the local predators below, is a secure bush bedroom under the African stars with all the luxuries you would expect from a five star safari lodge. 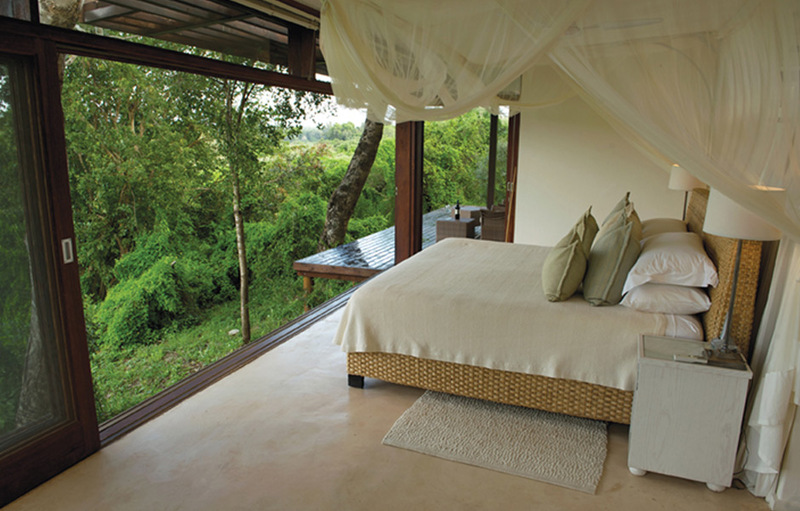 In the tree-house, a bush bedroom is set up to accommodate a single/sharing guest/s for the night with secure access and as many of the room comforts as are practically possible, mosquito net, mattress, linen, bedside table, toilet & bush vanity table. At sunset you are taken to the tree-house which is built around a majestic 500 year-old Leadwood Tree, where drinks and a delicious picnic dinner await you. Absorb the beauty and sounds of the bushveld as dusk turns to night before turning in for peaceful slumber beneath the spectacular expanse of star filled sky. As dawn breaks you will be collected by your ranger for a morning game drive followed by a hearty bush breakfast and one of the many animal and bird hides. This is an experience guaranteed to never be forgotten and a story you can pass on to your children and grandchildren. There are three exclusive Lodges at the Lion Sands Reserve; Lion Sands Ivory Lodge, Lion Sands River Lodge and Lion Sands 1933 Lodge. 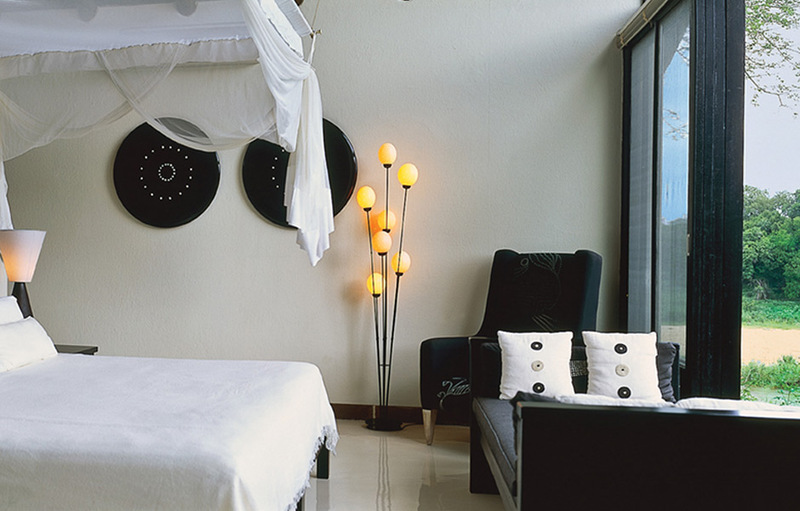 With a contemporary Afro-chic take on a classic ebony and ivory theme, all six of these ultra luxurious yet simple and uncluttered suites are operated as private villas. Each suite has its own separate living room, heated swimming pool and an open plan en-suite bathroom with an enclosure for the outdoor shower - 6-star luxury in the middle of the bush. The public areas at Ivory Lodge offers guests a private bar with fireplace, a library lounge , well stocked wine cellar, wooden viewing decks, a magnificent River Island Deck built on the river, Lalamuka Health Spa & gymnasium, curio shop & both an indoor and open-air (Boma) dining area. Breathtaking views of the Sabie River, which has flowing water all year around, can be viewed through the oversized windows of your villa or from your private viewing terrace. Baby elephants bathing in the river, zebra, gnu and the large Nile crocodile are the only neighbours you shall see. 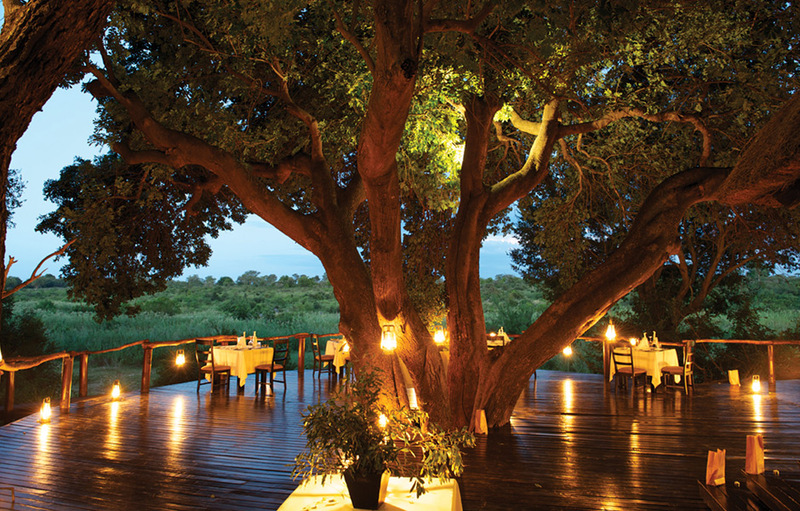 River Lodge nestles on the banks of the Sabi River amongst 800 year old trees. Facing due east, it catches the sun as it rises over the magnificent Kruger bushveld. Hosted by a family of staff that make it feel like home away from home, the lodge is about spirit, warmth and nature. The common areas at River Lodge include a private lounge and bar with fireplace, an outdoor safari lounge, 2 swimming pools (heated in winter), wooden viewing decks, a secluded bird hide, a magnificent River Deck built on the river, a conference room, Lalamuka Health Spa & gymnasium, curio shop & both an indoor and open-air (Boma) dining area. The rooms interiors are a tranquil cream, beige and sea green haven, cool in the summer, cosy in the winter. The new modern bathrooms have romantic lady-slipper standalone bathtubs. Guests have the choice of 12 luxury rooms and 8 superior luxury rooms. All 20 luxuriously thatched bedrooms with en-suite bathroom have private wooden viewing decks and the bedroom area is air-conditioned with an overhead fan. The rooms are linked to all areas by raised wooden walkways. This lodge was designed with families and friends in mind. 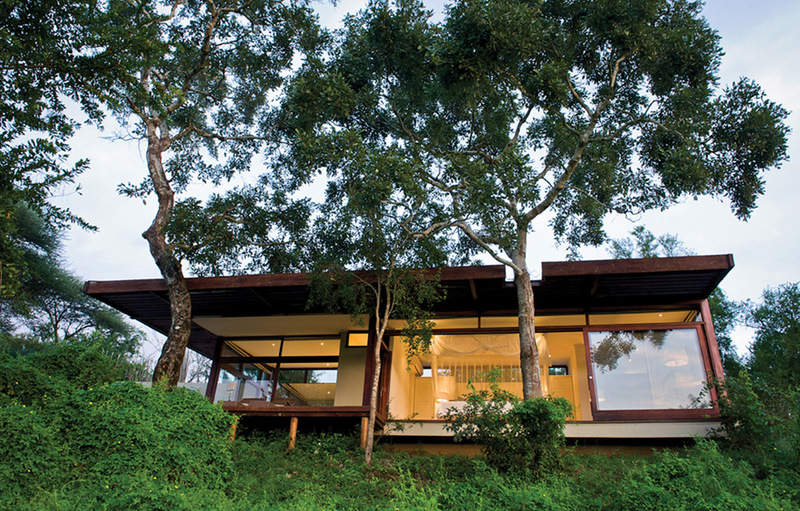 The decor in this timber and thatch Lodge is classic contemporary and it boasts large windows, sliding doors and muted colours mirroring the surrounding landscapes and enhancing the indoor-outdoor flow. With oversized chairs and an open fireplace, the lounge is perfect for rest and relaxation. The kitchen opens onto a dining area suited to informal family meals or a banquet affair. All of the public living areas open onto a large wraparound wooden deck and lap-size swimming pool. The Lodge’s four spacious suites have private views of the Sabie River and the en-suite bathrooms sport double vanities, elegant baths and outdoor showers. The children’s dormitory sleeps up to eight children comfortably and has his and hers bathrooms and an inter-leading bedroom for an au-pair. Guests staying at this lodge will enjoy the added luxuries of their own private chef and ranger with the exclusive use of a 4x4 Landrover for safari game drives.